These lessons helped this father-son tandem earn back their investment on their first Ministop in only six months! 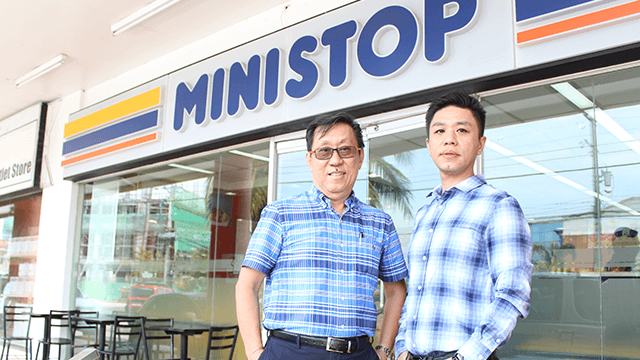 Franchising is the core business of Oscar and Owen Santos, who collectively run seven Ministop convenience stores in Zambales—six inside sprawling Subic Bay and one in Olongapo City. Inspired by the family’s success in restaurant franchising, the father-son tandem progressed into franchising convenience stores. A representative of the Ministop franchise management first approached the Santoses, after seeing the potential for a convenience store on one of their properties. Owen, spurred by the proposition, sought a more suitable location to open his first Ministop. Their first Ministop franchise by the main gate of Subic Bay Freeport was inaugurated in 2007. It took six months for them to earn back their investment, thanks to Filipinos who quickly embraced convenience-store culture. That first Ministop still stands in the same location today. Owen says they decided to expand their Ministop franchise because he considers running a convenience store a “very good investment.” There may be months when sales are lower, but his hands-on management keeps losses well under control. He is adamant that franchise owners who have opened one Ministop should seriously consider opening more. "Once you have mastered running one, opening the next store will be much easier," Owen says. "It won't be as complicated." Their Ministop stores also flourish because of the right employees. There’s less friction and bureaucracy in store operations. He cites his store adviser, whose management style is in sync with his. “Kapag nagkasundo kami, mas madaling ma-implement ’yung mga changes na kailangan (When we agree with each other, it’s easier to implement the changes that are needed),” says Owen, adding that this speeds up securing approval from Ministop management. Interested? Find out what it takes to be a Ministop convenience store franchisee at the International Franchise Expo at the SMX Convention Center on July 20-22, 2018. Drop by the Ministop booth at the expo and they’ll be happy to answer your questions. Visit the International Franchise Expo website or Ministop’s Facebook page for more information. This article was created by Summit StoryLabs in partnership with Ministop.